Our Family Faith Walk: When Do They Matter? Last week Josh and I had a bit of a scare that caused me to have to take a trip down to OB triage to get checked out. It is quite normal, in my experience, with my pregnancies, to have a lot of harmless contractions. That is how it was the entire last half of my pregnancy with the twins, so I wasn't that surprised when around 20 weeks, sure enough, I started having regular contractions with this little one as well. It isn't anything alarming, just sporadic contractions that aren't comfortable but come and go with no real rhyme or reason. This day however, I had finished a long, six hour infusion of IVIG, which typically causes dehydration that isn't a big deal, unless of course, you are pregnant and prone to early contractions already. Sure enough, when it was over, I was not feeling well at all. I started having those contractions, except this time they weren't just uncomfortable, they were very very uncomfortable, and they were not sporadic, they were regular and evenly spaced at two minutes apart. I did what you are supposed to do. I laid down on my left side (someday I'm going to research why you are supposed to do that), downed about 70 ounces of water in five minutes, and tried to relax. Two hours later, however, the contractions were no better, I felt no better, and I was starting to get concerned. Thus our trip to OB triage. On the instructions of my on call OB nurse as well as my concerned sister/physician, we hauled our tired selves down to the hospital to get checked out. I have made these trips before when I was pregnant with Jake and Eisley. It usually ended in the "Walk of Shame" as I had fondly nicknamed it, leaving the hospital after being checked out and told you are not in labor and there is nothing wrong with you, other than you are an overly concerned first time mother. Except this time I was not a first time mother, and I could only hope that in a few hours I would be walking back to my car, relieved and still feeling the movements of my baby. I've made a lot of friends since we lost Lily at 19 weeks. I belong to a "club" of sorts of mothers who have had late losses. We somehow find each other and know each other's stories. I lost Lily to a cord accident, but most of the mothers I know who lost babies around 20 weeks did so because they went into pre-term labor that was unable to be stopped. I imagined myself at that moment, 22 weeks pregnant, a mere two weeks away from having a baby that could possibly be saved by medical technology today, but knowing that two weeks makes all the difference. If I was to go into labor, my baby would live a mere seconds, and no one would be able to help it. The thought of that urged me to put my pride aside and go in to be checked, just in case, because the nagging possibility that things were not okay meant I wouldn't sleep that night until someone told me otherwise. What do you know? As soon as I got situated on that hospital bed, my contractions had slowed significantly. I was of course relieved, but also wondered if the staff would think I was one of "those" patients who come running into the hospital for every little thing. But then I remembered that I have lost three pregnancies, and if anyone deserved to be overly cautious, I certainly did. I won't go into all the details of our experience at the hospital that night, but I will tell you the part that struck a very sensitive cord in a mother who held a baby in her hand that was a mere 19 weeks into development. Since my contractions had nearly stopped, we were told by my nurse that we were free to go. After asking her if they could just check me to make sure I hadn't dilated, we were told, "Honestly, it wouldn't matter if you were dilated. The baby isn't viable until 24 weeks, so even if you were in labor, there is nothing we can do." Two weeks. I was a mere two weeks from being able to help my baby. I pushed further and asked if it wouldn't be possible to stop my labor, if I were in fact in labor, so that I may get to 24 weeks and have the possibility of delivering my baby alive and able to receive medical intervention. I was told, "Medications to stop labor are ineffective until 24 weeks. The baby isn't viable until then." Now, I know this is not all necessarily true, and very much depends on each individual case. We were also told that if I were in fact in labor, I probably had an infection and "it would be in the best interest of the mother to deliver the baby", even though that meant my baby would die. If I were to have an infection, then yes, as sad as it is, this is true. But I wasn't checked for an infection. I wasn't checked at all. For all they knew, I had started to dilate and was being sent home to deliver that little baby on my bathroom floor. I was told to disregard my discharge instructions that stated I needed to go back to the hospital if I had more than six contractions in an hour, because "your baby isn't viable until 24 weeks, so it won't matter if you're in labor. There is nothing we could do about it. There's nothing we could do for you or the baby at this stage." We were told a number of things that night that didn't quite add up and I very much did not agree with, but that isn't the point of my telling you this story. Have you ever heard that saying, "You may not remember what they said, but you will always remember how they made you feel."? For some reason, in my conversations with the nurse about my history of losses and her lack of a sympathetic reaction to them, in the way she acted as if it was no big deal that I was a full three weeks further along than I was when I delivered Lily and to me this was such a big deal, in the way I was essentially told, "Your baby doesn't have a chance at life for two more weeks. Come back when it does," the way I was left feeling was that my baby did not yet matter, at least it wouldn't for 14 more days. I wondered to myself what this particular nurse would have thought of my giving birth to a 19 weeker at that very hospital a little over a year ago. I wondered if she would have thought it was silly of me to grieve deeply for that baby, to name her, to hold her and take pictures of her, when she was a full five weeks from viability. I wondered if she knew I would go to the ends of the earth to save the baby I am now pregnant with, and would do absolutely anything to stop my labor and get the two more precious weeks it so desperately needed to survive. I wondered if she knew I would probably be up all night wondering if I had started dilating, wondering if I would be forced to do it all over again, to deliver a tiny baby with no chance of survival, but this time with the torturous knowledge that I was so incredibly close. Now, all of that being said, the baby and I are just fine. I went to the doctor the next day and got properly checked out and given a clean bill of health. But the incident at the hospital has had me thinking constantly. One might not even call it an "incident" really, we were never treated rudely or disrespectfully, we were just extra sensitive, and rightly so. We have held in our hands a baby much smaller than the one I'm currently growing. I have labored with a "non-viable fetus," and as someone who has delivered full term, seven pound twins, I can tell you it was just as painful, just as exhausting, and ten thousand times as emotional. Lily may have been weeks away from viability, but she had been loved and cared about for 19 weeks and 3 days by her family. The very hospital who was now telling me there is nothing they could do for me or my baby for two more weeks was the same hospital that helped me give birth to Lily, that made me and Eisley matching charm bracelets with Lily's name on them, that cried with us as we held her and grieved her loss, that helped wrap Lily in a tiny blanket and showed us how to hold her so we wouldn't damage her incredibly fragile little body. I was being told by this nurse that there was nothing they could do for me if I went into labor before 24 weeks, but after my experience with Lily, after all the hospital did to make her birth a cherished experience even though she was not viable, not even alive, when she was born, I knew that wasn't true. I remember when I was in labor with Lily how I had three different nurses because of shift changes and the fact that the labor dragged out for nearly two days. I remember my last nurse, the one who got to deliver Lily, holding my hand and telling me, "We've all been through this you know. Each of the nurses you've had has been right where you are, doing what you are doing right now." I remember how very much that meant to me, how it gave me this peace that they knew the pain I was in, that they knew how much I loved this baby, even though she wasn't considered "viable" and was probably the smallest baby they had ever delivered. I remember how it gave me validation that my baby mattered, that this labor and delivery mattered, that it was meaningful and I had every right to be a complete and utter broken mess over the whole thing. It is amazing how different people's reactions can cause such a stir in me. 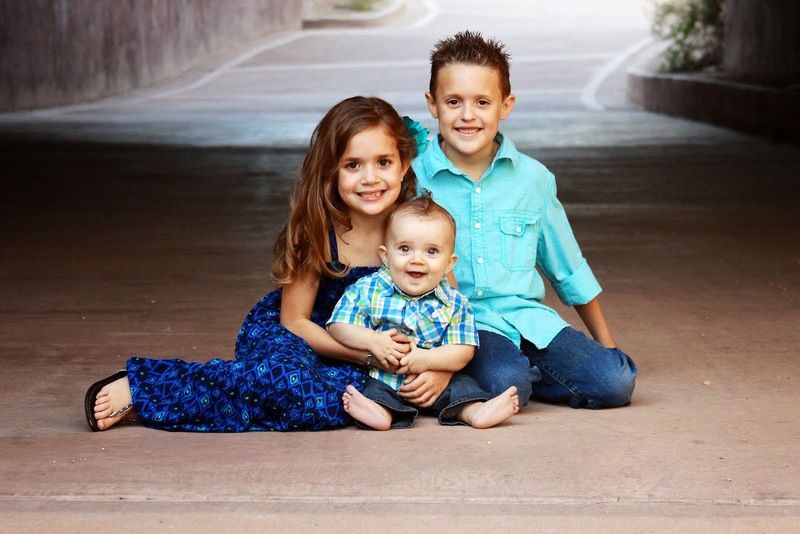 When people ask me how many kids I have, sometimes I say, "I have three. Twins who are seven and a baby girl who passed away." Sometimes people push for more details and ask how she died, how far along I was. Many times I leave that part out, because I can see the thoughts behind their eyeballs when I say "20 weeks". A few times I have even had people say to me something to the effect of, "Oh, thank goodness you didn't get further. I have a friend who lost a baby at 40 weeks, imagine how painful that would be." Well...I imagine it would be incredibly painful. But those thoughts, those attitudes, much like the one I was getting from my nurse last week, they take away my "right" to let my baby matter. Am I not allowed to truly love, and consequently truly grieve the loss of my baby until I am 24 weeks pregnant? Does this baby not matter until then? Twenty years ago 24 weeks would have been considered "non-viable". In twenty more years will the world finally allow mothers to fully grieve their tiny babies because medical technology will have progressed to be able to save 19 weekers? I wonder. And what about the mothers who deeply grieve the loss of their very early pregnancies? I have lost two in those early stages, and know countless friends who have as well. I know it is a struggle for many of them to claim their right to grieve those losses in a world where we allow and even encourage those early pregnancies to be terminated if that is what the woman chooses. It is not politically correct to grieve a "baby" when as a society, we do not consider it to be one yet. The world collectively side eyes any woman who refers to her early pregnancy loss as a "child" when in their minds, this woman is essentially grieving heavily for a mass of undeveloped tissue. Most of them figuratively pat the woman on the head like a small child crying over a broken toy and humor her so called grief for a short while, but really, how long must we allow this woman to go on this way over something we refuse to admit was a life, with a soul, that has been lost? I often think about what it is that changes reactions in people when they hear my so called "daughter" was only 19 weeks along, as opposed to a full-term baby that passed away. I am not proud of it, but I have once or twice fudged how far along I was when I lost Lily if I sense that the person asking will not understand my grief unless I was past the point of viability. I wonder if by giving the right to women to choose whether or not to end their pregnancy before 24 weeks, we have consequently stolen the right of mothers who lose their babies before 24 weeks to fully grieve their death? I don't mean to start a debate about abortion or even imply that mothers who make the heartbreaking choice to terminate their pregnancies do not also grieve heavily, but I do think that it is impossible for most people to both believe it is acceptable to end the life of a baby before it can survive outside the womb, and also treat babies who can not yet survive outside the womb as, well, babies. Because...how can they? How can you say "I am so incredibly sorry for the loss of your precious daughter Lily" while at the same time believing that life is not really life worth protecting until that life is much older? So...my question remains. When do they matter? When is a woman allowed to fully love and therefore fully grieve her child? Is it the moment she is aware that baby exists? Is it after she sees a beating heart on the ultrasound? Is it not until she and the baby have conquered the first trimester? Is it not until the baby has a chance at surviving outside the womb? At what point in a pregnancy does a mother earn her right to grieve the child within her if it has been lost? And who decides that, exactly? When I had my first miscarriage, I was fairly early on, still in my first trimester. But far enough along that I had recklessly allowed myself to attach to that baby, or the idea of it anyway. When I was told I had miscarried, I was blindsided and broken. As a Christian, I believe that life begins at conception, so it is mutually exclusive that I then had to grieve the loss of a child, even though I had never seen a heart beat, had never felt the baby move, had no real evidence that it even existed except some blood tests and an ultrasound showing an empty sac where my baby should be. Yet, I grieved. And to the dismay of the world, I still do. 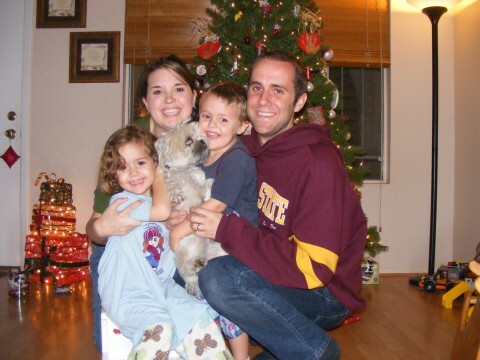 When I was pregnant with Lily, I had so much more "proof" of her existence. I had a dozen ultrasounds documenting her growth from a tiny spec to a fully formed baby with wiggling arms and legs. We knew she was a girl, which somehow made her even more real to us. We got past that dreaded first trimester. We were told everything looked perfect...until it wasn't. When I lost Lily, I grieved heavily over the daughter I knew existed. It was not just my Christian convictions that led me to grieve her loss, it was holding her perfectly formed body in my hands. It was kissing her tiny, perfect lips. 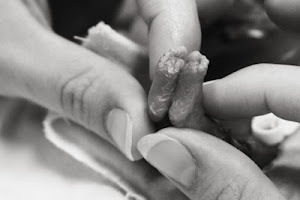 It was marveling over each and every detail of her tiny toes, miniature hands, and fingernails as big as mustard seeds. Yet...Lily had no chance of surviving outside of me. Because I was four days short of 20 weeks, it wasn't even a legal requirement that we bury her. It certainly was out of the ordinary for us to hold funeral services for her. I know for a fact there were some that raised their eyebrows at how "far" we took her loss. But I have never cared about that, because I know that if they held her like I did, if they saw how she was a mirror image of Jake when he was born, only a tenth of his size, they would understand. They would understand that she mattered, even at that stage, even before the world recognized her right to life. I had another miscarriage a few months after Lily was born. I was so early on, even I hadn't allowed myself to accept that I was pregnant. This did, in fact, make the loss much easier to bear. We didn't name this baby like we did the others. 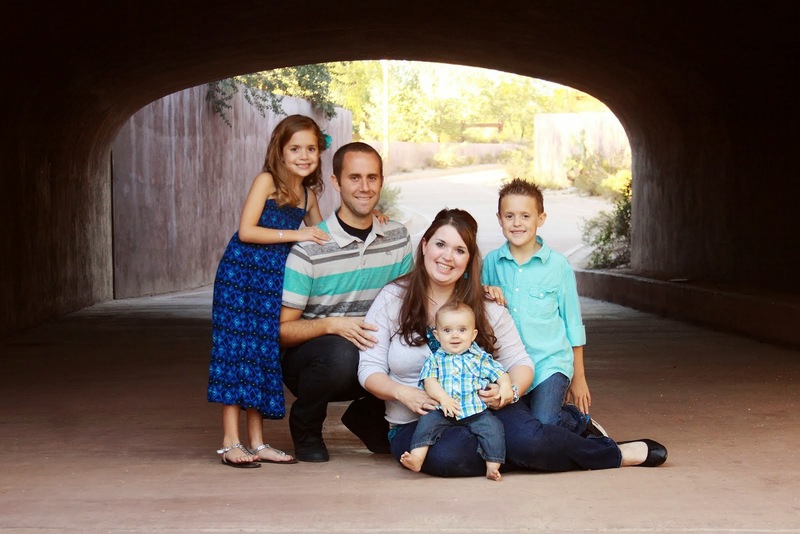 We count it when Jake and Eisley are counting how many seats we would need in our car if all of our babies had lived, as they sometimes do, but it was a blip on our radar after the earthquakes of grief we had experienced. I was not broken over it. I was sad, of course. But I was incredibly jaded and hard-hearted by that time, and that baby, while I know it was there and it was lost, did not get the benefit of my broken heart, because it was practically stone by then. When I hear of friends who have lost babies as early as I did that last time, I do not compare my lack of grieving over that short pregnancy to what they must be feeling. I know now that pain is relative. That if my third miscarriage had been my first, it would have rocked my world and brought me to my knees, because I had nothing to compare it to. It would be a loss greater than any I had experienced. It would matter. This is the point I am trying to drive home, in my long winded way: These losses matter. They matter to mothers. They should matter to the world, but you know what? We aren't asking that. 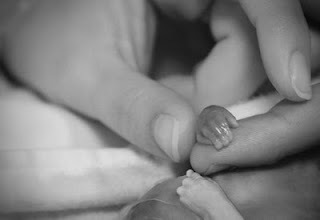 As the mothers who have lost these babies, we will settle for the world allowing them to matter to us. Give us back our right to grieve them, whether they be four weeks along or forty weeks. The loss of young life is always tragic, especially to the parents. Please remember this as you come across women who have experienced pregnancy loss. Treat them with the reverence that women who have walked through fire deserve. Don't put your ideas of when babies should matter on their already overloaded shoulders. Pay attention to your attitudes about their loss. Be mindful of how you speak about it. Follow their lead. If they refer to their early loss as a baby, as a child, you should too. On the same token, if they can't bear to do so, if treating their loss as the loss of a child is too painful for them to handle, don't push it. We live in a world where women are conditioned to emotionally detach themselves from their babies until they are past the first trimester, past the healthy anatomy scan, past the point of viability, and if we lose them before those accepted milestones, we are not only left empty and grieving, we are left feeling invalidated, guilty for allowing ourselves to attach so early, overly sensitive, indulgent, and emotional. I am 22 weeks, 4 days pregnant and counting. Like, literally, counting down the days until "viability". When I can wake up and know that if I went into labor, they could possibly save my baby. There would be a good chance at me holding him or her alive. But knowing that if I gave birth today my baby would die does not lessen the love I have for this little one. Her kicks are no less real because she wouldn't be able to do so outside of me. This baby matters...so much...and has mattered since the moment I knew about her (or him!). Even as someone who had a very, very hard time emotionally attaching to this pregnancy and this baby, and rightly so, I have never been able to fool myself into thinking that its loss wouldn't matter. As mothers, we do not have a magic switch of emotion and love for our babies that we can turn on once the doctors tell us it is safe to do so. It is there from the beginning. We all handle it differently, we all handle loss differently, but I think the one thing we can all agree upon is that these babies we are carrying, they matter. Even if the world can't agree on when they should matter. And as a Christian, one thing I can take comfort in, even when it seems my babies do not matter to those around me, is that they mattered to the Lord. They mattered from the very moment of their creation. And I am confident they matter to Him just as much as my sweet Eisley and my precious Jake matter to Him...and that, I know, is a whole heck of a lot. "...Knowing there will never be a day when we will ever get over this, no matter how fast society turns on this axis, we will never move on, we will never forget, we will always hold onto you..."
Thank you so much for writing this post!! I UNDERSTAND it completely! And I agree, with Marilyn... You, or me, or both of us together NEED to write a book!! Shayla, I kept thinking of you and little Arie and Hadilyn when I was in the hospital that night, of how your babies were the same size mine was right then. And I agree, we should absolutely write a book! It is a dream of mine and I hope God allows it to happen one day! Something for mothers to have and take comfort in that you and I didn't have from mothers who have experienced it firsthand. Someday my friend!!! Thank you for being a voice, as well as Shayla, for grieving moms everywhere. Early pregnancy loss is still a stigma-overlooked to get so attached. Thank you for recognizing each stage as significant. May your pregnancy go well! One of the things I admire about you is that you have an amazing gift to tackle such difficult and controversial subjects with such dignity and grace. You are one of the most logical and down to earth Christians that I've ever met. I love how beautifully you articulated that you weren't asking for the world to allow the losses to matter, but to simply allow them to matter to mothers. As you know, I have a kiddo myself and I've always considered myself to be pro-choice pretty much across the board. Mostly because I don't think the government has any business interfering with women's health issues (different argument, I know). However, I needed to say that in order to make my point. I have never had an abortion, but always believed that I would be able to do so. And then I got pregnant. I've got my own complicated story and had been told for many years that having a baby would be very difficult if not impossible for me. So when I found out I was pregnant, I SO desperately wanted to sustain the life inside of me. I was considered a high risk pregnancy and I clung to each day that I held onto my baby. I remember getting all the little Babycenter updates about how big my baby was. All the fruit analogies:) I was so happy when he got to be the size of a grape! Anyway, I knew the minute I knew I was pregnant that there was a life inside of me and I would have grieved him tremendously whether he died at 6 weeks or 6 months gestation. I'm no longer pro-choice across the board. I know now that I would never be able to have an abortion (still for women having the right to choose). I just know that I would no longer ever be able to make that choice. And wow- that was the LONGEST comment ever. Again, I think the way you share your faith and struggles in a world fraught with so much animosity and hatred towards Christians in a way that is so honest and non-argumentative is beautiful and inspiring. Thank you so much for reading and responding Heather! I really appreciate your point of view. The topic of pro-life vs. pro-choice is so incredibly difficult and emotional to begin with, but when you throw in the perspectives of the mothers who have lost pregnancies not by choice, it makes the waters even more murky. I also never want to minimalize the pain and heartache some women have when grieving the pregnancies the did choose to end. I have a few friends who don't feel they have any right to grieve over a conscience decision they made, though of course they do. It isn't my intention to debate a hot topic, but to open people's eyes to a perspective they may not have considered. Karen, this is so beautifully written. I've seen so many moms who have early miscarriages tear up when you call their pregnancy a "baby." Somehow it seems they hesitate to use the word but are so relieved when someone else will acknowledge their loss for what it was: the loss of their baby. Equally, I think it's important for moms who've only had pregnancy losses and no healthy babes to know that they are still moms--even if all of their babies didn't make it. Losing my first baby at 18 weeks also made me feel like I lost my identity as a "mom," but of course I hadn't. I can't wait to someday meet that sweet baby who first made me a mom! Thank you for sharing your story. Those precious lives do matter and this post, I'm sure, has touched countless mothers who's feelings have been disregarded. Thank you for being there. For relating, for sharing, for caring and understanding. Thank you. You have shared a very personal part of your life :) I can't even imagine the feelings of loss and grief in reference to a child, and I only know that mother's who experience this have got to have the toughest spirit around. As a nurse, I've worked in the NICU, and it's not easy. Babies that shouldn't technically survive after born at 23 weeks, somehow pull a bargain with God and make it through, and others born at 28 weeks, don't. It doesn't make a bit of sense, and the technology that modern medicine has, while amazing, is still so limited. I'm so sorry for your loss. Your baby, no matter how far along, is still a baby, a creation of love between you and your husband, and it's a loss. I'm a fellow Christian, and I'm grateful for the knowledge that this life isn't the end. Your sweet babies will be waiting for you on the other side; you've only been separated for a small period of time. They still choose you to be their mama, and you will see them again :) Thanks for sharing. A friend sent me a link to this blog post. I cried as I read your words, and in some way felt some comfort that there are others who know the heartbreak of losing babies too early. My husband and I have lost five babies in the last 2 1/2 years. A little boy at 17 weeks, Jacob, in Feb. 2011 because the cord got wrapped around his neck. In early 2012 I had a miscarriage at 5 weeks, and then another at 10 weeks. In Nov. 2012 we lost another little boy, Peter, at 20 weeks because my water broke. Just a "fluke accident". Peter's little heart beat for 2 hours after he was born. Just this past July we lost a precious boy, Jeffrey, at 22 weeks. Jeffrey cried when he was born. The tiniest, most heartbreaking cries, and there was nothing we could do but hold him. His little heart beat for 3 hours. I guess I just want to thank you for your words. As I've read through other posts on your blog, I am so sad for your heartbreak, but glad to see that there are others who understand, and we can make it through. Thank you for sharing your story. Happy New Year and an update!